GOSH!ABOUT: The Workmen’s Circle Winter Benefit – GOSH!About: Fashion. Art. Music. Events. TV. Non Profits 'N' Lifestyle > Subscribe now! 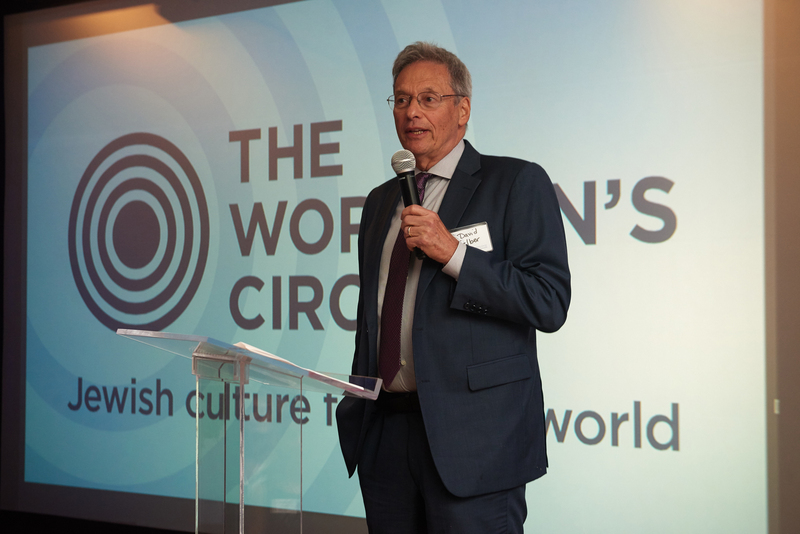 Over 200 guests attended the Annual Winter Benefit by The Workmen’s Circle on December 1, 2016 at The Loft, Midtown New York, to honour two incredible people for their outstanding services, a mother and son duo, Ethel Grodzins Romm, chair of the Lyceum Society of the New York Acadeny of Sciences, and son Joe Romm, advocate for Climate Change. Special appearances by creator and executive producer David Gelber( Years of Living Dangerously); Mark Levine, New York City Council Member; James Rogers, NY State Department of Labor Deputy Commissioner; and Brendan Griffith, NY Central Labor Council Chief of Staff. The honourees were congratulated by two surprise videotaped messages from former Vice President Al Gore and Titanic Director James Cameron. Ethel Grodzins Romm has dedicated her life to advancing gender equality in the workforce. A former Environmental Technology CEO, journalist, and best-selling author, Chair of the Lyceum Society of the New York Academy of Sciences and member of the Roosevelt Island Resident Association Common Council, Ethel is the author of several books and has written for Editor & Publisher, the American Bar Association Journal, Esquire, the New York Times Op-Ed page and New York Magazine. Since World War II, when she was civilian drafting supervisor at Westover Army Air Base, MA, Grodzins Romm has ran drafting, engineering, and construction groups. She was president and CEO of Niton Corp (now part of Thermo Scientific) when it was a start-up. He has served as acting assistant secretary of energy for energy efficiency and renewable energy at the Department of Energy, where he oversaw $1 billion in low-carbon tech development and deployment. The author of nine books including Language Intelligence: Lessons on Persuasion from Jesus, Shakespeare, Lincoln and Lady Gaga and Climate Change: What Everyone Needs to Know, he is a senior fellow at the Center for American Progress and holds a PhD in physics from MIT.